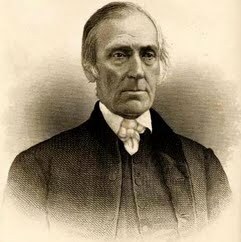 Levi Coffin was an American Quaker, abolitionist, and businessman. Coffin was deeply involved in the Underground Railroad in Indiana and Ohio and his home is often called "Grand Central Station of the Underground Railroad". He was nicknamed "President of the Underground Railroad" because of the thousands of slaves that are reported to have passed through his care while escaping their masters. Born in the Southern United States, Coffin was exposed to and developed an opposition to slavery as a child. He followed his family and immigrated to Indiana from North Carolina in 1826 following a persecution of the Quakers by the slave-holders. In Indiana he quickly became a local business leader as a merchant and farmer. The wealth he accumulated allowed him to become a major investor in the Richmond branch of the Bank of Indiana where he served as director during the 1830s. His position in the community allowed him to provide most of the funds necessary to supply food, clothing, and transportation for the Underground Railroad operations in his region.